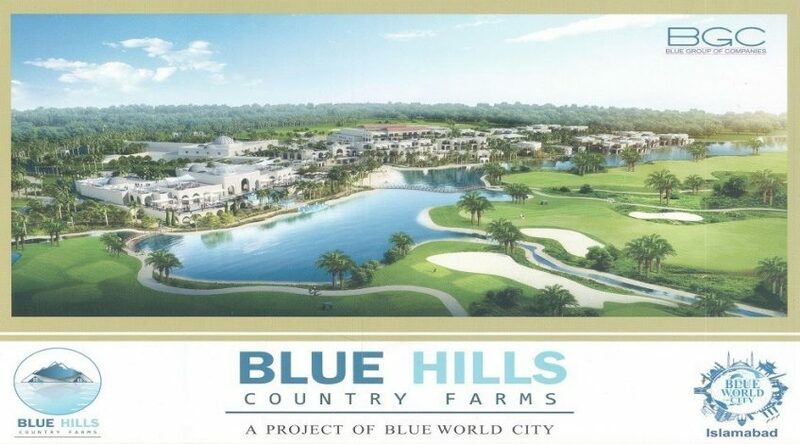 The Blue Hills Country Farms are located within the boundaries of Blue World City. It is an ideal location for an agro farm house due the fertile land along the Chakri Road. You can have a relaxing time here away from all the noise of the city. The project offers different sizes of agro farms at low prices with a flexible payment plan. Provision of all amenities available to other residents of Blue World City. Blue Hills Country Farms offers 2 kanal, 4 kanal, 8 kanal and 16 kanal farm houses on 4 years easy installments plan. Bookings start from 15% down payment, while remaining amount is payable in 4 years through 40 monthly and 8 semi-annual installments. Please note that the prices mentioned above do not include development charges, so you’ll have to pay additional charges at a later stage of development.